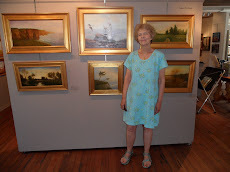 The Eventide Gallery in Essex, MA, owned by Teri Ermano is getting ready for a new winter show. Teri plans to have lots of lovely winter paintings in the front room. Please see below my contribution to the snow scenes. Paintings also available at Eventide Gallery include the following. This painting was started outdoors as a grisaille at Deer Island in Newburyport, MA along the Merrimack River. Deer Island is a favorite place for fishing, painting and boating. Most of the Island is wooded until you get to the edge of the water. Plum Island Overlook is a local marsh often visited by bird watchers. 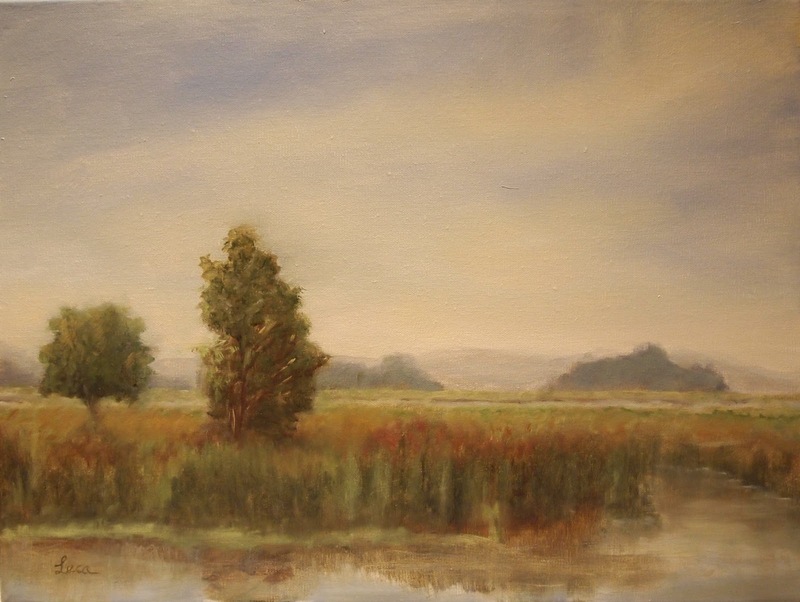 See this serene natural marsh in the painting.below. Here are a few small paintings done on location recently as you can tell by the late Fall colors. The Audubon Society has opened a new wildlife refuge off Stackyard Road in Rowley, MA known as Rough Meadows. A perfect place for painting on site. The opening reception for the Eventide Gallery show is December 8, 2012 from 5:00 - 8:00 PM.